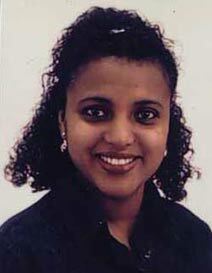 Tsehay Alemayehu was born in Addis Ababa, Ethiopia, in 1968. She studied at the local government school until junior level and joined St Mary’s private school for girls. She graduated with a Diploma in Administration followed by two years of further education at the Commercial College of Addis Ababa. At the age of thirteen she began to write and later became a member of the Youth Writers’ Group. It was a diificult time in Ethiopia during the Revoloution but she tried to pursue her writing. She emigrated to the U.K in 1991. In London, she published “Ethiopian Messenger”, a magazine aimed at the Ethiopian Community. She has a certificate in Montessori Theory and Methodology. In October 2006 she published a bi-lingual book entitled “Zeraf!” aimed at young exiles with the help of UnLtd Millenium Fund. At present she is working on another book for children.